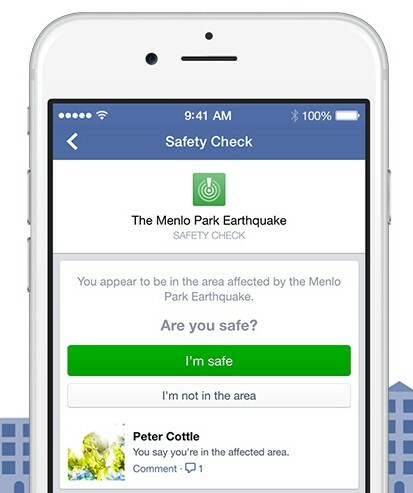 Mark Zuckerberg has announced a new service called Safety Check on Facebook. The purpose of Safety Check is to allow users to simply press a button to confirm that they are safe. This allows friends and family to quickly see in Facebook that they are OK. The idea was developed specifically for the purpose of helping people send out a message during and after natural and man-made disasters. This is a great idea – simple and will give peace of mind to many people during disasters and upheavals.